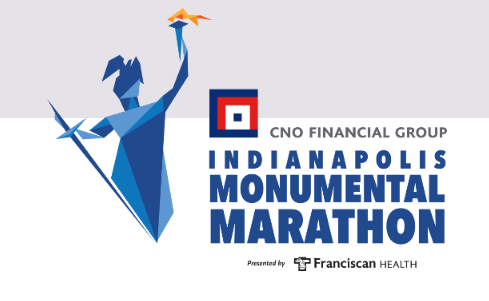 This entry was posted in Fitness, Race Reviews, Running and tagged Be Monumental, Best Marathon in Indiana, Indiana Maratahon, Indianapolis Monumental Marathon, Marathon Maniac, Run Indiana, Run Indianapolis, Runner Girl, Running by tootallfritz. Bookmark the permalink. Interesting read of your early days of “blogging” on FB! 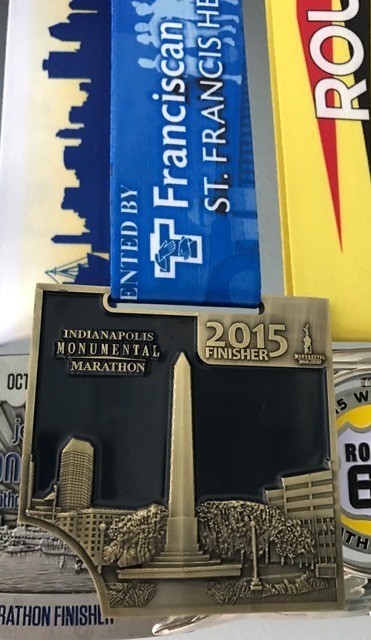 Don’t be so hard on yourself…then or now…I had similar experience at Monumental….the breakdown by last 10k…and not just the “slow-slog-n-walk” thing….but feeling terrible even doing that! I didn’t have to question to much the “why?” that despite having pretty decent training and conditioning, I was broken by the time I got to end of 2nd hour – my breakdown was simply a byproduct of working too hard and over-running in the 1st half…to make up ground lost being backed-up by huge crowds of slower runners that were in the seeding corrals I was supposed to be in! But when things like this go awry of our expected plan…you simply find another way to salvage some kind of positive goal/outcome and as I like to say….”Live to run a better marathon another day!” I do know one thing in training can help you…too many think just doing the training volume in terms of total weekly miles and doing those peak LR’s prepare you for doing your race. They do in some respects….but if you really want to avoid that breakdown and slowdown 2nd half and especially in last 9-mi to 10k….you then have to invest in a lot of consistent training over the course of the entire 18-wk training cycle incorporating speed and tempo/pace running. Most confuse speed work with that fast interval running on the track, but putting more emphasis on “threshold” interval and tempo training….especially in 2nd phase of 18-wk cycle….can be a key factor in running entire 26.2 miles to your terms. I didn’t do any of this kind of training all thru the summer training program….and the results are apparent…can’t run anything close to my maximum age-ability…..just post finishes in the 4:18-4:30 range…with exception of 5:26 for brutal trail marathon in Michigan. But when training starts Monday, December 12th…18-week cycle timed to Boston Marathon….you can bet the training regimen will include a lot of speed/tempo work. But in the interim….not feeling bad about my slower Finishes this fall…rather enjoying the break of the “competitive-performance-based” focus on marathoning! I remember talking to you once after I first met you about your struggles with the marathon distance. Of course MUCH has changed since then! Good luck in indy and I hope you have a fabulous run!